Slowly spreading the joy the RaspberryPi way. “Tea, Earl Grey, hot” anyone? What is that you say? 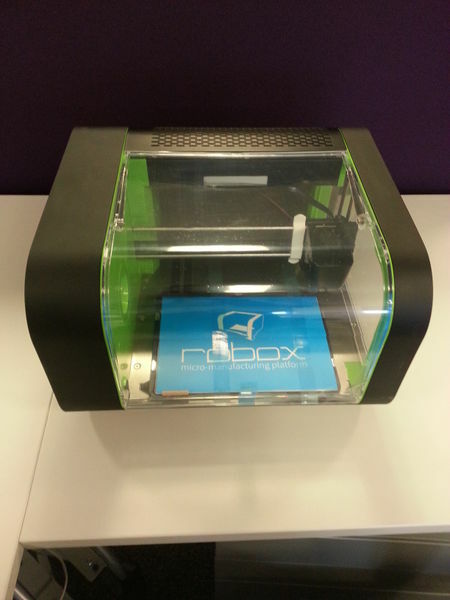 Well its a 3D Printer, the early 21st century replicator made by CEL in Bristol, UK. Last year the raspberrytorte team clubbed together to support the Kickstarter, now it’s here and we’ve already started testing it out. This entry was posted in 3D Printing by martin. Bookmark the permalink.